A Time To Shop | Fall Decor You Can Create with Your Family! Outside, the world is changing from the vibrant green of the spring and summer months to the beautiful rainbow of colors that represent the fall months. This is also a great time to make some décor changes around your home. 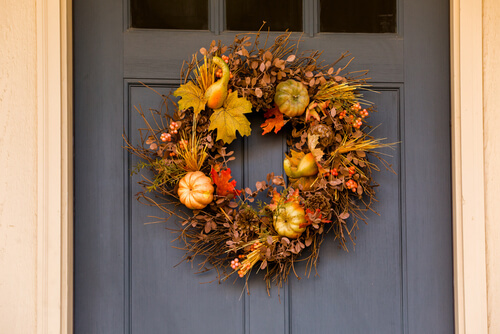 Whether you want a personal touch or you don’t have the money to buy new decorations, your whole family can get together and create great new fall décor you can be proud to display. 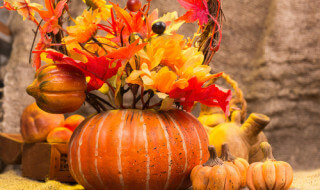 Enjoy beautiful fall decor you can make. If you’re looking for something to hang on your front door to create a welcoming environment for your guests, a door bouquet can be a great way to do it. Collect dried flowers, branches with faux leaves and twigs and bind them together at the bottom with floral tape. Wrap the stems in burlap and trim it into a cone shape, securing the burlap with strong fabric glue. Tie a green or orange ribbon around the cone and allow the ends to trail down the door. Fall is a time when the squirrels are packing away their nuts for the winter. However, you can use them to create something beautiful to display inside or outside your home. Gather nuts in your yard or a local nature preserve or buy them from a store. Glue them onto a foam wreath until no foam shows through. Tie a large burnt orange bow and glue it to the bottom of the wreath. 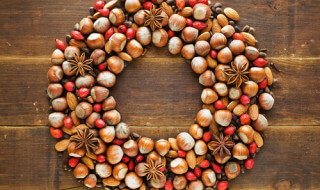 This nut wreath will look great on the outside or the inside of your house. Make this beautiful fall decor with your family. Most people simply throw away their corn husks, but they can be a useful tool in decorating for your next fall party. Cut a strip of the corn husk that is wide and long enough to cover the entire votive candle holder. Adhere double-sided tape to the top and bottom edges of the votives and wrap in corn husks, layering and overlapping as needed to ensure full coverage. You can finish the votive by tying a thin ribbon near the bottom of the holder. When you’re creating a fun fall centerpiece for your table, you don’t have to settle for your traditional vases. Instead, clean out the inside of a pumpkin from your local pumpkin farm. Place a piece of floral foam inside the pumpkin to hold your arrangement in place. Choose a variety of silk flowers, leaves, berries and more to create a fall-themed centerpiece that will spark conversation among your guests. 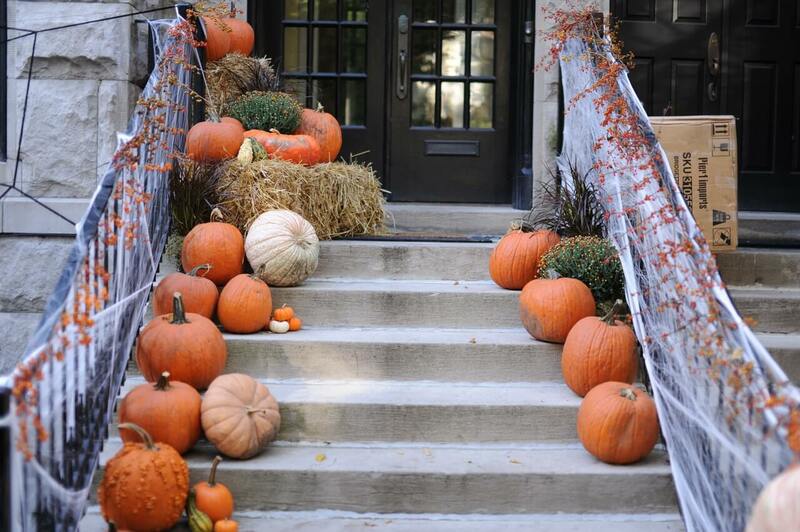 Fall décor can be beautiful and create the right atmosphere for your home. However, you may not have the funds to buy the amazing decorations available at the store. With the right materials, your family can create your own, giving your home the fall feel you want without breaking your budget.